While talking to an acquaintance over the weekend, they shared how their uncle who lives in Burnaby receives some public home care support as he has dementia. However the support he receives is for bathing only, and from the family’s perspective, this is not his only need. 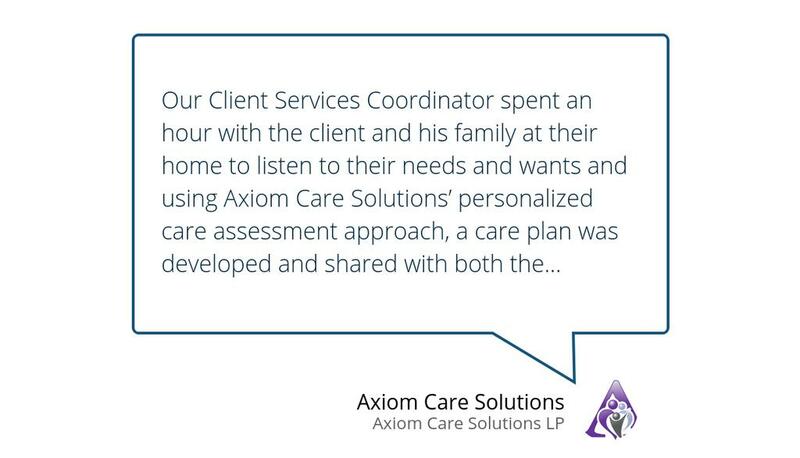 They would prefer receiving a different mix of home care services that could help with his dementia or cognition and enable him to go outside the house. Something that was more personalized based on his needs and wants. The family members themselves try to pitch in and help but they all work full time and being around at home during the day is difficult. The family also has a fear that speaking up and requesting different public home care services may impact access to the services they currently receive as they spent a fair bit of time negotiating to retain the support they are receiving…and so goes on the routine of daily baths as a part of their limited home care support. This got me thinking, why people feel lost and fearful when it comes to figuring out home care services. Could it be health literacy and not understanding the complexities of the system and fear of losing something that has some value? Or is it not knowing what possibilities exist to enable someone to truly make home the best place to live and to age in place amongst family and friends? Or is it cost? I spent a bit more time trying to understand what my acquaintance truly needed as I really wanted to help her out as a friend. It turns out that she was not even aware that personalized and customized private home care services were available in Burnaby that could be tailored to their needs. Given that multiple family members living in the same household work full time, cost was not a factor because at $35/hour or less for personalized quality home care, it meant that all of them could continue to focus on their careers and not feel the stress and burden on whether their uncle was ok during the day at home. Whether the family wanted their uncle to go to a medical appointment or attend a senior’s day program or just go for a walk or engage in a game of cards or whether he needed some grooming care support – it was all possible. She felt very hopeful and excited at these possibilities! Private home care services don’t need to be cost prohibitive. In fact, for a busy professional, paying $30 or $35 an hour for personal caregiver services for a parent or family member could seem reasonable especially if it means they are able to maintain their day jobs and support the rest of their family’s needs. Families also struggle with sending a loved one to a long-term care facility or seniors home and while sometimes this is the only option, many times, there are subtle yet significant improvements that can be made to optimize an individual’s ability to live at home for a longer period of time.